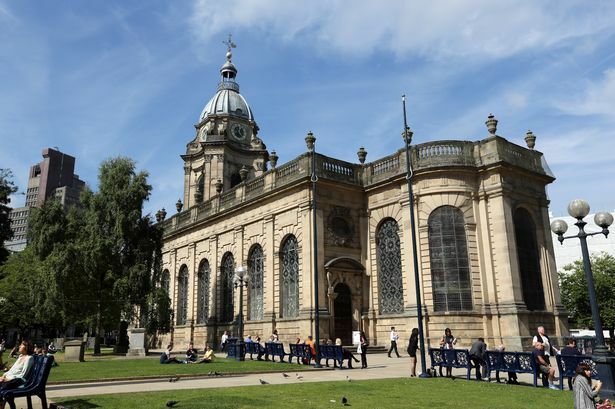 Christopher Morley reviews the Royal Ballet Sinfonia and Birmingham Cathedral Choir at Birmingham Cathedral. Happy as liberated pit-ponies - but far more restrained in demeanour - the members of the Birmingham Royal Ballet Sinfonia showed us just what a classy orchestra this outfit is. Next night they’d be back down in the pit for the opening night of Nutcracker at the Hippodrome, but on Thursday they visited the cosy ambience of Birmingham Cathedral for the third time, renewing a rewarding partnership with its choir. This time the collaboration was in Faure’s exquisite Requiem, its soundworld galaxies away from that of most ballets, and the Sinfonia collaborated with delicacy and tactful reticence (sometimes perhaps too much so, as in the virtual inaudibility of the violins in the Sanctus). Right from the reverentially stately opening Marcus Huxley drew an even, well-balanced tone from his choristers, following it later with a beautifully-dovetailed “O Domine”. And the soloists, choir members David Wigy and Felicity Rogers, made expressive contributions, not least Rogers’ touching Pie Jesu. BRB music director Koen Kessels took over for Mahler’s Symphony no.4, contemporaneous with the Faure, and what a fluent, flexible and beguiling account he conjured. Urgency of attack was one side of the coin, expressive phrasing the other. Textures were weighted with the utmost clarity, and in this most joyous of Mahler’s symphonies we even detected a whiff of ballet footlights. Ilse Ehrens was the appropriately unaffected soprano soloist in the finale’s child’s view of heaven; not much fun, though, for the innocent, patient lamb being led to slaughter.